Moroccan King Mohammed VI and Pope Francis said it is important to preserve and safeguard the Holy City of Jerusalem as a shared heritage of humankind, according to a message released by the Moroccan embassy in Dhaka. The two leaders of Islam and Christianity made the remarks in a joint call while Pope Francis was recently paying a visit to Morocco. Recognizing the uniqueness and the sacred character of Jerusalem and caring deeply about its spiritual significance as well as its special vocation as a city of Peace, they came up with the joint call for the world. They said for the believers of the three monotheistic religions, the holy city is a symbol of peaceful coexistence and a meeting place where mutual esteem and dialogue are fostered. To this end, the specific multi-faith character, spiritual dimension and special identity of Jerusalem need to be preserved and enhanced, they maintained. The two religious leaders also hoped that the followers of the three monotheistic religions will be guaranteed free access to religious sites as well as the right to practice their faith in the holy city. They also expected that the believers may address a prayer to God at the city for a future of peace and brotherhood on earth. At the invitation of King Mohammed VI, Pope Francis made the official visit to Morocco to reinvigorate the interfaith dialogue, mutual understanding between the faithful of the two religions, and to promote the values of peace and tolerance. During the visit, King Mohammed VI, who is also Chairman of the Al-Quds Committee, and Pope Francis signed the Jerusalem Appeal to promote and enhance the specific multi-faith character, spiritual dimension and special identity of the holy city. The purpose of the appeal is to garner support in the international community to reclaim the multi-religious character of the city of Jerusalem, which is considered holy site by all the three Abrahamic religions. The appeal is also part of the support for the Palestinian people’s rights to liberation and the establishment of a state on the 1967 borders with East Jerusalem as its capital, living side by side with Israel. Meanwhile, Moroccan and Catholic Representatives in New York submitted the appeal to the United Nations Secretary General. In this regard, the spokesperson of the Secretary-General, Stephane Dujarric, said that the Jerusalem appeal goes along the lines of what the Secretary-General has been saying for a quite long time that Jerusalem has a sacred character for Jews, Christians and Muslims and that it needs to be preserved. 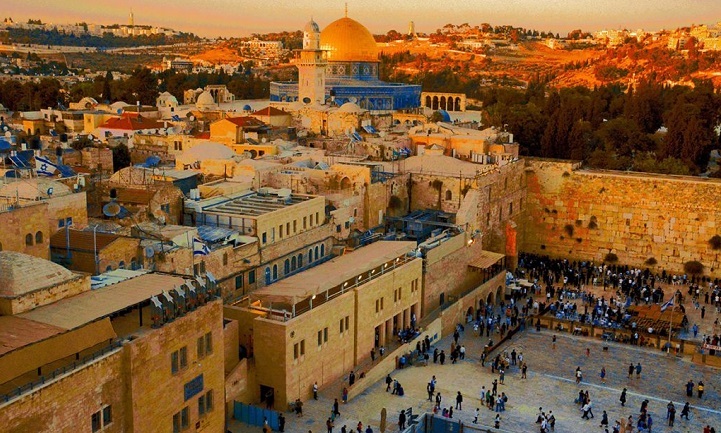 The European Union also expressed satisfaction with the appeal as it recognises the special importance of the holy places of Jerusalem for the three monotheistic religions.